‘The most special part of India for me is where there is genuine peace and simplicity. Far away from the urban jungle,’ says one of India’s most respected Tiger conservationists Valmik Thapar, in our special series where well-known Indians tell Rediff.com what they love most about India. The most special part of India for me is where there is genuine peace and simplicity. Far away from the urban jungle. And deep in the countryside, which, for the moment, is less spoilt than the rest of India. India has given me both the wild tiger and my work with it, for the last 40 years, which could never have happened anywhere in the world. It has given me the magical setting of Ranthambhore (National Park in Rajasthan, one of India's most well-known tiger reserves where tigers live in their natural habitat) which is unique to this planet. Valmik Thapar is one of India’s most well-known and respected tiger conservationists and a documentary filmmaker. He worked extensively at the Ranthambore Tiger Reserve and has zealously pushed the cause of tigers in India. 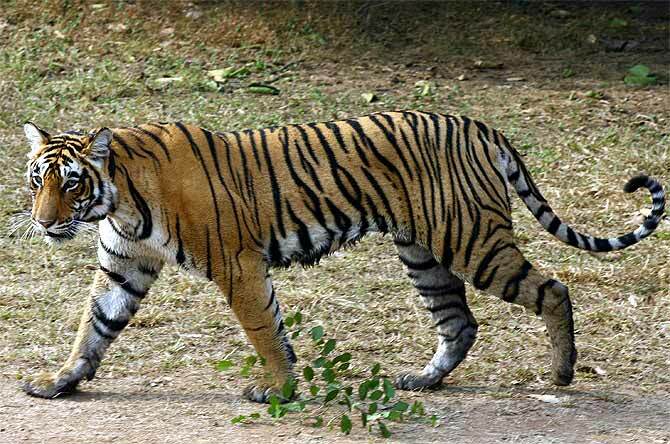 Critically endangered, there are approximately only 1, 468 tigers in India. Image: A female tigress at the Ranthambore National Park.